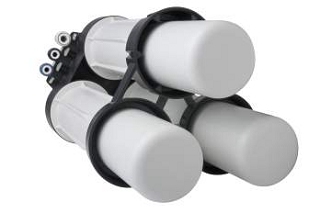 For years the Merlin RO was the preferred chioce for many for on-demand pure water production capable of producing an average of 1.9 lpm through its two high-flow membranes. 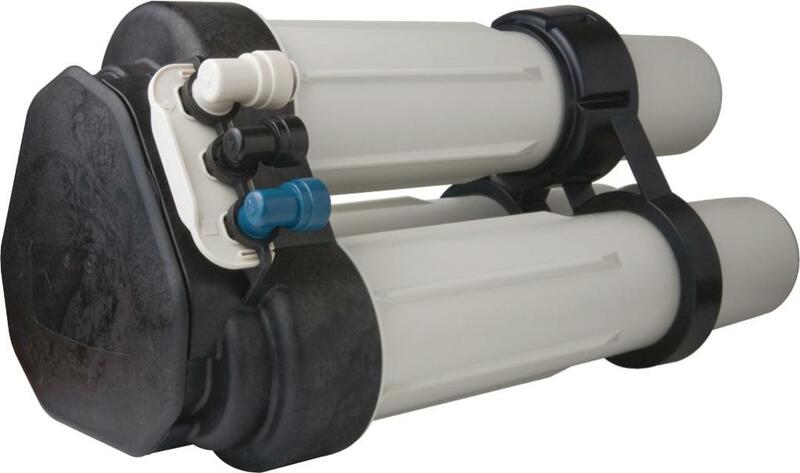 Discontinued by Pentair Water in 2011 the Merlin has been updated and is replaced with the new PRF-RO system; a smaller, more robust RO unit without any reduction in performance. Smaller footprint – new comapct design. Low operating pressure means it works effectively with just mains pressure. – 2.76 bar / 40 psi. High Recovery System means less wasted water goes down the drain. Constructed of high-impact plastic for years of dependability. Rated at 720 gallons per day although the unit is unlikely to produce that from mains tap water quality and pressure. The unit incorporates two high-flow membranes elements in series to produce an average of 1.9 litres per minute of purified water, protected by an all new carbon impregnated fibredyne pre-filter delivering twice the loading capacity – up from 19000 litres to 38000 litres. 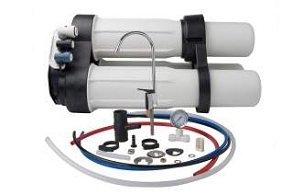 Although in most applications the PRF-RO will work from mains water pressure there may be occasions where it is necessary to fit a booster pump to improve system performance. Please see our pumps and controllers page for a suitable pump. Full operating instructions are included – assembly required.